So now that you have decided to start a blog, your next target would be building audience. Like everyone else, you must be looking for a quick turnaround and dreaming of a few thousand visitors overnight by paying a small amount for organic traffic bot. Well let me make it very clear for you “This is going to be your worst investment ever and you will have to regret soon, believe you me“. Famous bloggers like Pat Flynn and Neil Patel didn’t build an empire overnight. They have put a lot of elbow grease into creating their online properties and building a reputation. Therefore, if you think you are going to grow overnight by buying paid traffic, I would suggest you to turn this idea down right away. I am going to make things clear for you so you can put more logic to your decision. 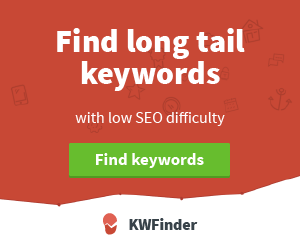 When someone searches for a specific keyword and clicks on a website from search results, that website is said to have received an organic visitor. So all the visitors of a website coming from search engine results form organic traffic for that website. A website having a prominent position in search engine results tends to get a large number of organic traffic from search engines. Although there are other sources of traffic including social media and email marketing, organic traffic is still considered to be the best traffic source for any website or blog. In contrast to the organic traffic, all traffic that you generate from paid advertisements is termed as non-organic traffic. Non-organic traffic doesn’t count to your page rank. A bot, also known as a web robot or internet robot, is a software that automatically runs a set of scripts to perform specific actions. Those specific actions would otherwise take a lot of time and human effort if someone does them manually. A bot is normally used to automate the tasks that are simple and repetitive in nature. Organic Search Traffic Bot Review- How it works? Organic traffic bot is a kind of web robot which has been programmed to bring organic traffic to your blog or website automatically. A traffic bot is used by websites and blog owners for bringing a lot of robot traffic to their website. People use click organic traffic bot for google search in order to get fake organic clicks. Although it’s a black-hat technique, people still use it for quick turnaround and quickly increase traffic on blog. Websites earn money by displaying the ads from different ads publishing networks like Google Adsense, BuySellLinks, etc. Famous companies offer a PPC (Pay per Click) model where a website owner gets paid only when someone clicks an Ad. Some advertising networks pay website owners even on Ad Impressions (when someone visits a website). These organic traffic bots are used to make money from both kind of advertisement networks. Whenever a google organic traffic software or bot visits a website, it connects form a unique IP address. Connecting from unique IP’s makes bot less suspicious to search engines. Bots have been causing too much loss to the advertisers for automated clicks and impressions on the ads that are actually intended for real people. We have reached a crisis point: 36 percent of traffic today is generated by machines, not humans. This is devastating for the advertisers specially. They spend a lot of money so that their businesses could reach out to the potential customers. But majority of the audiences it reaches, unfortunately, is traffic bots. A survey conducted by SolveMedia in February 2014 estimated a Net loss of $11.6B to advertisers in terms of traffic bots. Almost 59% of advertisers on internet experience traffic bots that impacts the performance of their camapigns. Advertisers are now-a-days spending money on anti-bot solutions which improves their campaign performance and keeps them away from traffic bots to an extent. Should I use organic traffic bot? What comes easy won’t last, what lasts won’t come easy. Just follow this simple rule and wait until things change for the better. The second reason you should not use such tools is because the use of these bots will lead to a severe penalty form search engines. You will be building a spam property over the internet which has no future. Search engines are constantly updating their algorithms and you might be a victim of those updates any fine morning you wake up form a peaceful sleep. A bad tree is never going to yield good apples. Therefore, it’s better to be safe, slow and steady than sorry. I do NOT want to use organic traffic bots. I’m trying to learn if my traffic is FROM these bots. How do I determine that?